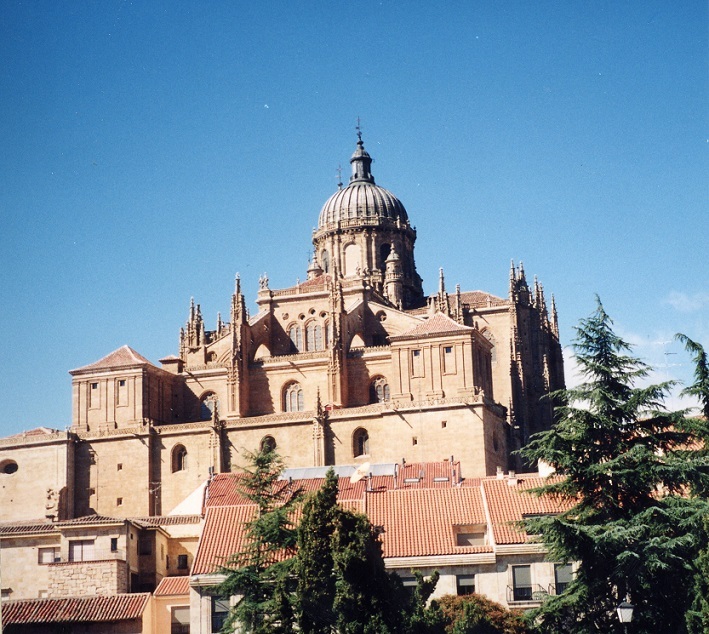 Salamanca is called “La Dorada,” the Golden City, because its buildings are made of a golden sandstone. Approaching Salamanca from Madrid, you will at once feel and see its rich historical legacy, and you will find it a most enchanting city. Alfonso IX of Castille and Leon is responsible for the city’s worldwide fame: he founded the first university in Spain in Salamanca. Salamanca possesses the advantages of a big city and yet is small enough to offer the intimacy of a village and everything is within walking distance: beautiful churches, narrow streets with years of history and much more. Its main square, Plaza Mayor, is the perfect meeting point with its bars, shops and restaurants. Spaniards and foreigners gather there to go to pubs or just to enjoy the sights from one of its many cafes. 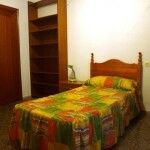 Segovia, Burgos, Santiago de Compostela, Leon and Madrid are all within easy reach. The climate is continental with chilly winters and sunny summers. 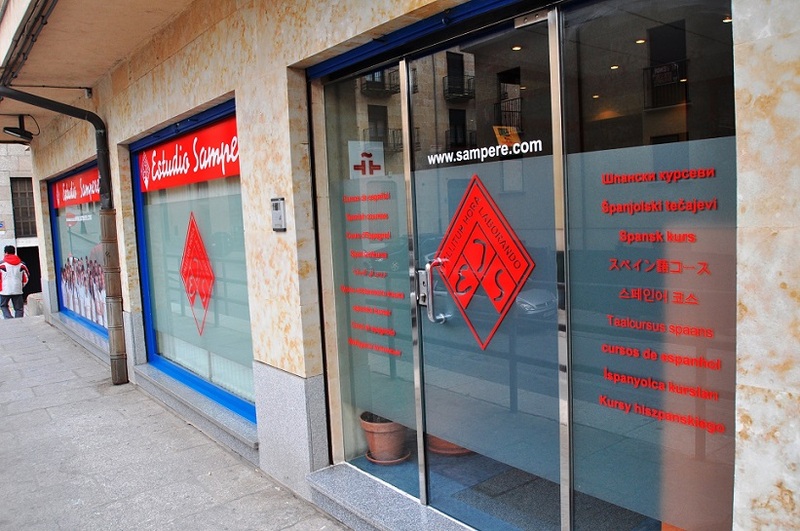 Estudio Sampere, founded in Madrid in 1956, is a well-known and highly respected institution in the field of teaching of Spanish as a foreign language. All teachers possess university degrees with specialization in teaching Spanish as a foreign language. Their Spanish Summer Courses for Juniors are designed for teenagers between the ages of 13 and 18 who want to learn Spanish and experience the culture of Spain. Participants study Spanish during the morning from Monday to Friday, while the afternoons are devoted to cultural or sporting activities, excursions and field trips. 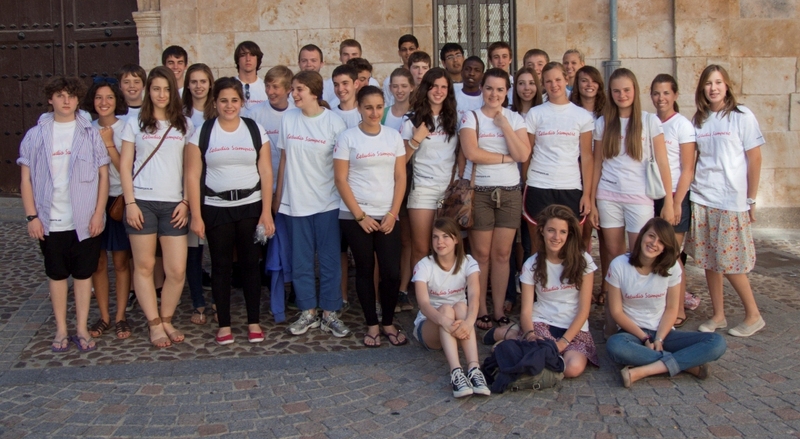 The Spanish Junior program in Salamanca is one of the most popular Spanish Summer Courses we offer for teenagers, with a former student return rate of over 60%. 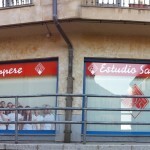 Estudio Sampere has been offering Spanish Summer Courses in Salamanca for Teenagers for over 20 years. 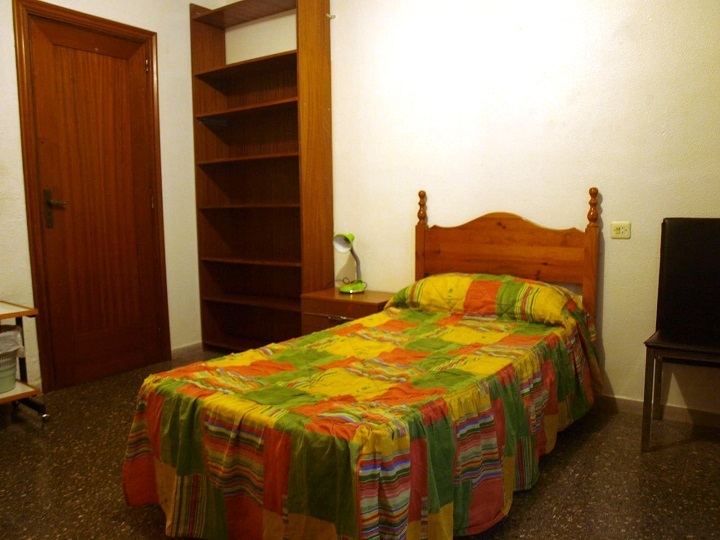 Estudio Sampere Salamanca is located in a pedestrian area in the center of town just 3 minutes away from Plaza Mayor (Main Square). 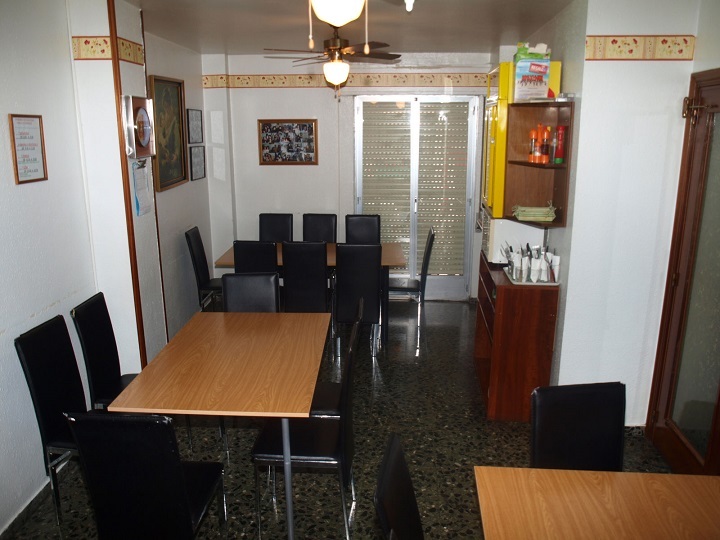 The premises, occupying the first floor of the building, are air-conditioned and adapted to language learning in small groups. The school has 12 classrooms and a library/video room. It is a small school offering an intimate and supportive family-like atmosphere. 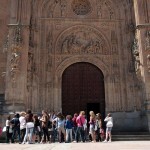 Description: Spanish Summer Courses in Salamanca for teens and young adults that combine Spanish classes with a full program of activities and excursions. 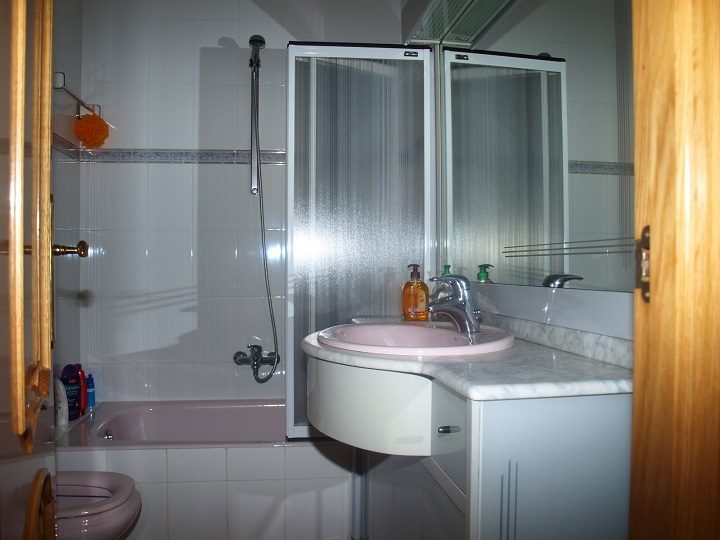 Accommodations with full board in host families or in a student residence are offered. 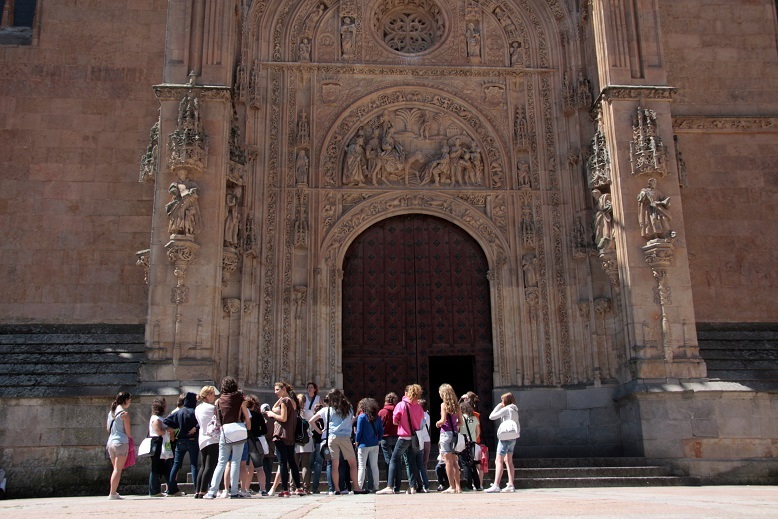 The Junior Spanish Program, designed for younger students, offers more supervision while still allowing students plenty of free time to enjoy Salamanca. The Young Adult program offers less supervision and more generous curfews for older teens. 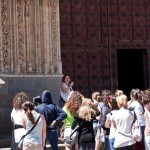 The Spanish Summer Courses: The Spanish course is the most important part of the Junior Program. 3 different levels are offered: Elementary, Intermediate and High Intermediate. 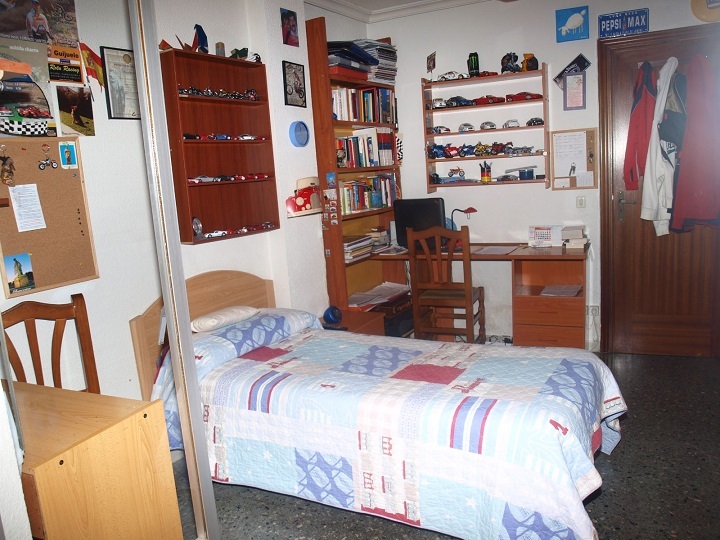 Students receive 4 Spanish lessons a day from Monday to Friday in small groups of 12 students or less, arranged according to their language level. Only Spanish is spoken in the classroom and homework is assigned on a daily basis. 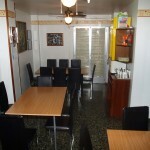 Spanish grammar and composition as well as vocabulary and conversation are covered during the lessons. Students successfully the Spanish Summer Courses objectives receive a Diploma at the end of the course. 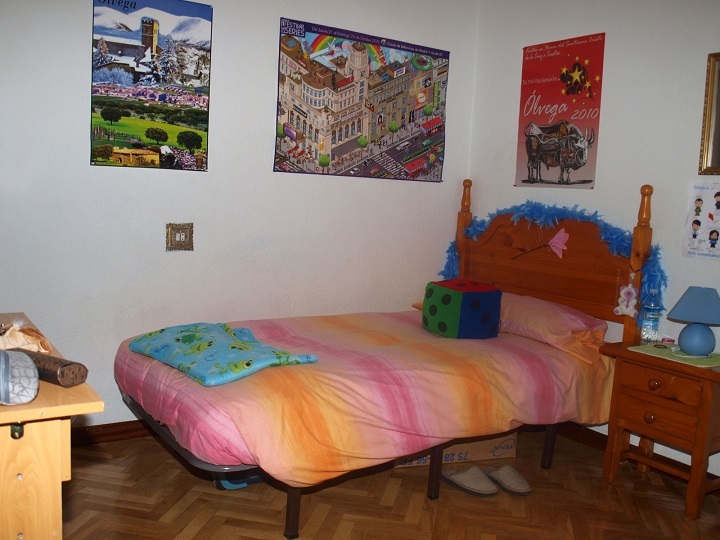 Accommodations: Students are accommodated with local Spanish families. These families have been carefully selected by Estudio Sampere, and they are regularly visited and inspected. 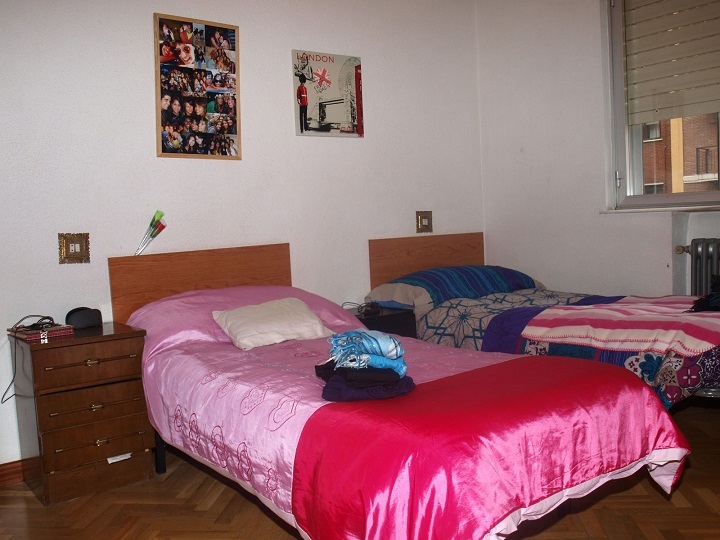 Students are placed in double room accommodations, as the center feels that interaction with other students of the same age is very important during the program. 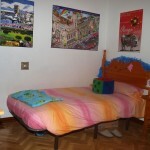 The families are located within easy walking distance from the school (10 to 20 minutes on foot). Some of them do have children of their own, some of them do not, but all expect students to take part in the normal family life. 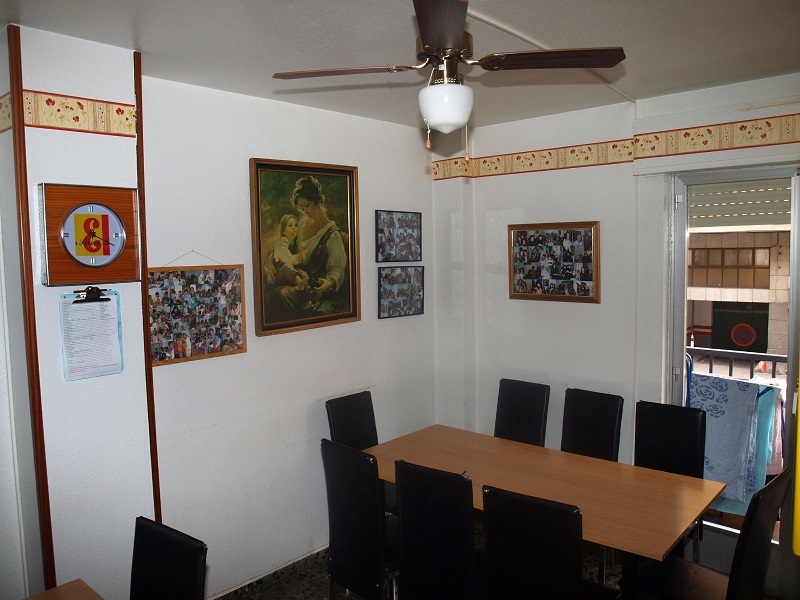 The three main meals of the day are provided by the host families, who strive to provide a healthy and balanced diet, it is therefore extremely important that you notify us in advance of any special dietary needs. Students receive a “bag lunch” consisting of sandwiches and fruit on excursion or pool days. One load of laundry per week is included in the program price. IMPORTANT NOTE: RESIDENCE accommodations will be available during July and August also. 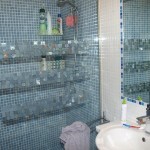 A small residence (20 rooms) located within easy walking distance to the school will be offered. 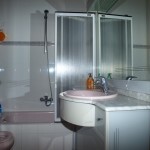 Residence is supervised 24 hours per day and offers double room accommodations with full board. Space is limited and subject to availability. 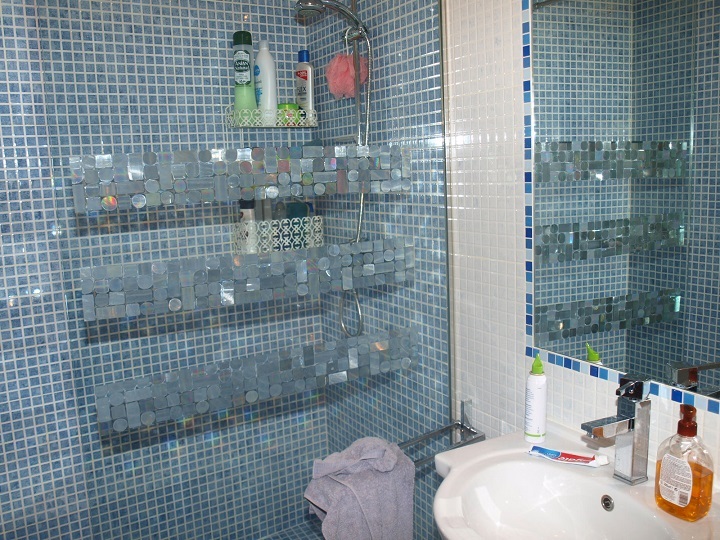 Prices are the same for residence as host family stay (see below). Please contact us for details!. Activities: Junior Program students are expected to participate on the supervised activity program organized by the school. During the afternoons, visits to museums and monuments, cultural activities and sports are organized daily. Teachers and Team Monitors organize and supervise all visits and activities. Visits to the local Swimming Pool are scheduled at least once a week, so do not forget to bring your bathing suit!. Dancing lessons, bicycle rides, arts and crafts and games are planned on a weekly basis. 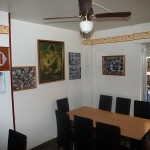 Get togethers, dinners and visits to the local “disco” are arranged during the evenings. Saturdays are devoted to excursions to local places of interest (ceramic factory, Candelario Falls, Sierra de Francia, etc.). Sundays are free days spent with your host family. 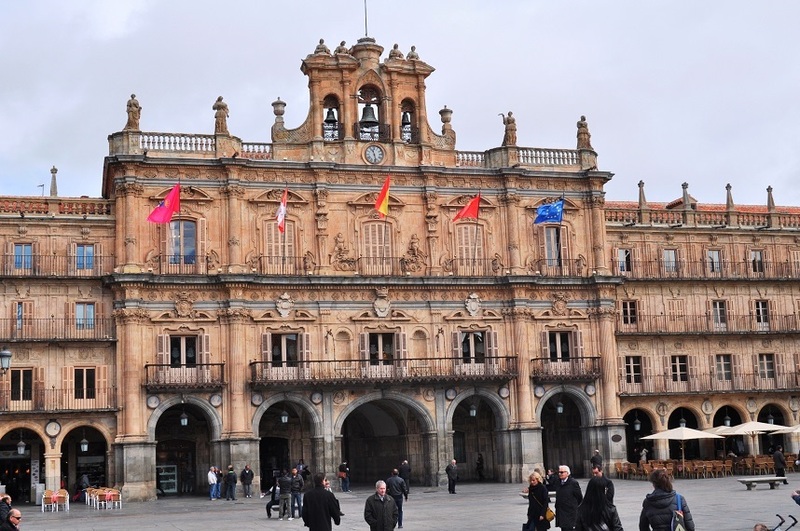 Spanish Summer Courses in Salamanca – Rules: Alcohol and drug use will not be tolerated at any time and it is grounds for immediate dismissal from the program. Students must also abide by host family curfews. Families are required to notify infringement of curfews to the school Director immediately who will take appropriate action. Each student will receive a printout of the rules during the first day’s orientation session. Important Note: The Young Adult program has later curfews than the Junior Program. Insurance: All students participating in the Spanish Summer Courses in Salamanca are covered by an insurance policy issued by Europ Assistance Insurance Company. Each student will be issued an insurance card upon arrival which is valid for the duration of the program. The policy covers accidents and illness, as well as repatriation. 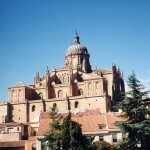 Arrival in Salamanca: The price of the Spanish Summer Courses in Salamanca includes round-trip airport transfers from the Madrid International airport. 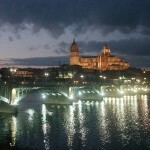 Salamanca is located 200 Kilometers (125 Miles) from Madrid. Students are individually met by Estudio Sampere Madrid personnel at the Barajas International Airport in Madrid the Sunday before the start of the course and taken by private coach to Salamanca. Participants should arrive at Madrid-Barajas airport before 4 pm on Sunday. 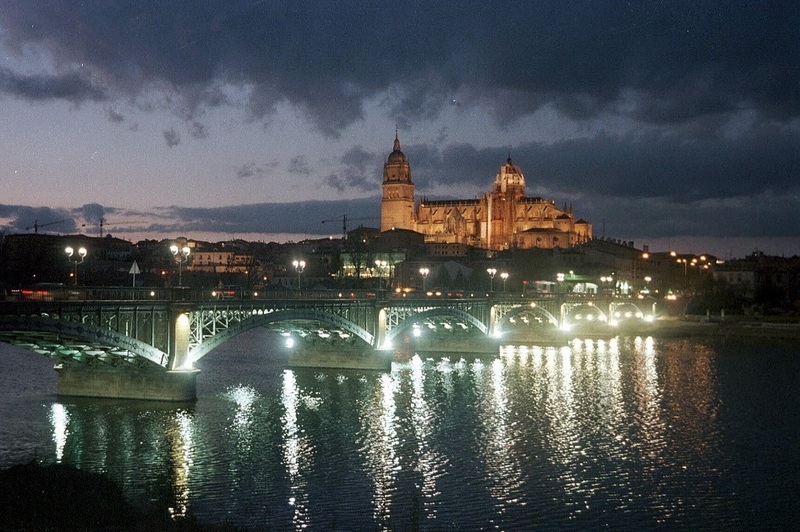 A private bus takes students from the Madrid airport to Salamanca. The bus makes one trip in the late afternoon (departing the airport between 4 and 5 pm). The journey to Salamanca takes less than three hours. 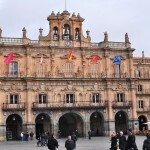 Participants who arrive on Saturday (instead of Sunday) will be personally escorted to the bus terminal to take public transportation to Salamanca. 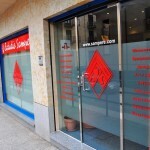 Estudio Sampere personnel will be waiting for the buses’ arrival in Salamanca to accompany the students to their accommodation. Prior to departure each student receives a list of 24 hour emergency phone numbers both in Madrid and Salamanca to assure that transfers go smoothly. The process is repeated in reverse at the end of the course. Transportation Madrid-Salamanca-Madrid is included in the price of the course for students arriving and departing on scheduled program dates: Additional fees will apply for arrivals and departures outside of the start and end dates of the program! . IMPORTANT: flights must depart Madrid after 1:00 PM on the Saturday after the end of the course in order to allow enough time for the airport transfer back from Salamanca. 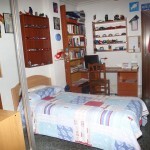 Prices include: Round-trip airport transfers from Madrid to Salamanca, school enrollment fees, 20 Spanish lessons per week, all books and study materials, host family accommodations in double room, all meals, medical insurance, plus all activities including field-trips, sports and excursions planned by the school during the length of the program. Important: all prices include school enrollment fees. NO other charges apply. 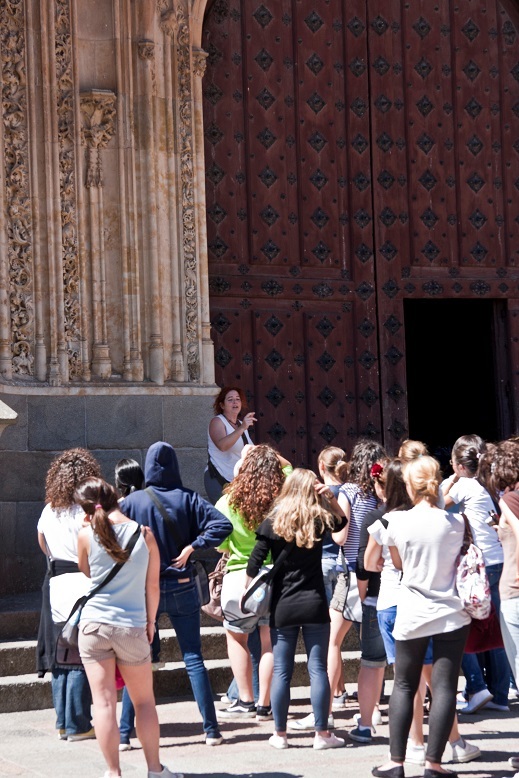 The Spanish Summer Courses in Salamanca run from the second week in June until the third week in August (last day of course is 24 August) and is available for 1, 2, 3, 4, 5 or 6 weeks. Students must arrive in Madrid on Sunday and depart Madrid on the Saturday after the end of the course. IMPORTANT: Additional fees will apply for arrivals and departures outside of the start and end dates of the program! 1 week courses start on: 2, 9, 16, 23 or 30 JUNE, 7, 14, 21 or 28 JULY, 4, 11 or 19 AUGUST. 2 week courses start on: 2, 9, 16, 23 or 30 JUNE, 7, 14, 21 or 28 JULY, 4 or 11 AUGUST . 3 week courses start on: 2, 9, 16, 23 or 30 JUNE, 7, 14, 21 or 28 JULY, 4 AUGUST. 4 week courses start on: 2, 9, 16, 23 or 30 JUNE, 7, 14, 21 or 28 JULY. 5 week courses start on: 2, 9, 16, 23 or 30 JUNE, 7, 14, or 21 JULY . 6 week courses start on: 2, 9, 16, 23 or 30 JUNE, 7, or 14 JULY.